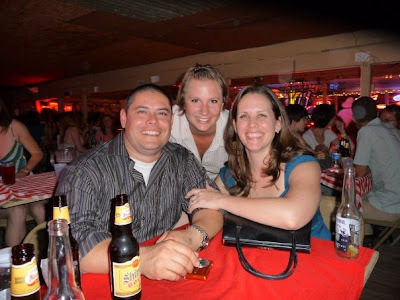 Hero Husband and I took Betty and Hannah out to the Broken Spoke for some good old two-stepping. I had forgotten that this place has the smallest dancefloor (upside is that the place is always full) and lowest ceiling (everyone looks really tall) of any place I have ever been. The girls took a dance lesson and then we set to tearing up the floor. It was so much fun and terribly over due. We had an awesome time even as the floor got so packed that we literally got stuck in a dance traffic jam and engaged in a bit of full contact two-stepping. All I can say is elbows were involved and if you think we look bad you should see the other guys!